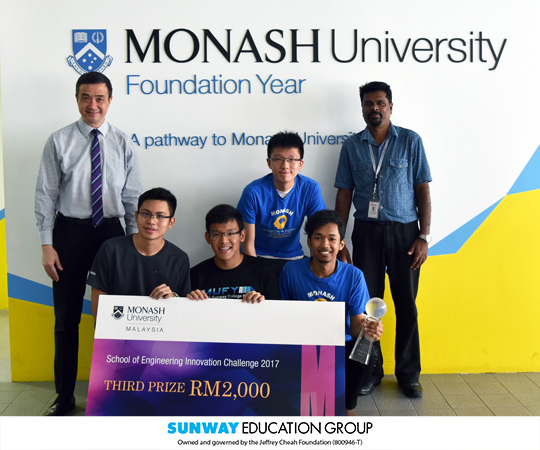 Monash Innovation Challenge 2017 was open to all Pre-University students and the challenge was to develop innovative and practical solutions for the less fortunate in Malaysia. Students had to propose an idea and build a prototype. Shortlisted teams presented their working prototype and pitched to a panel from Monash University Malaysia. 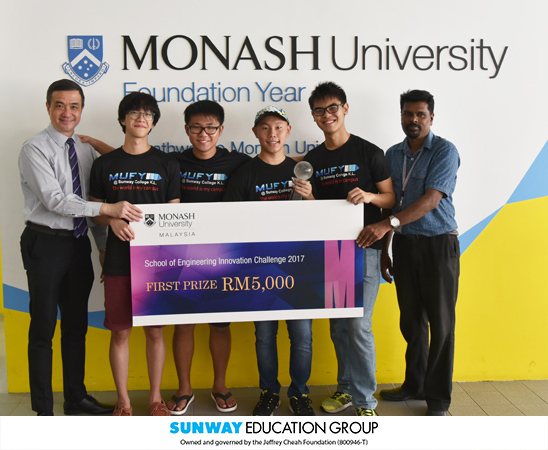 MUFY teams won the 1st and 3rd prizes and walked away with RM5000 and RM3000 respectively for their innovative prototypes. Prototype: The device is a walking stick accessory to enhance the mobility of the blind using ultrasonic sensors to detect obstacles higher than the walking stick. 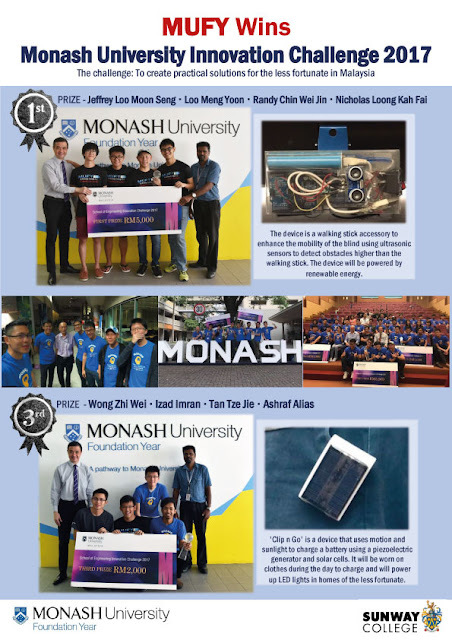 The device will be powered by renewable energy. Prototype: 'Clip n Go' is a device that uses motion and sunlight to charge a battery using a piezoelectric generator and solar cells. It will be worn on clothes during the day to charge and will power up LED lights in homes of the less fortunate.